Chautauqua County, NY (September 14, 2018) - United Way of Northern Chautauqua County is holding an art contest for the youth in the North County. This contest will enable local children, to show their creativity outside of art class. The winners of this contest will be able to leave a mark on their community, by having the opportunity to paint the Literacy Box in United Way’s front yard on Central Avenue. In addition to children’s books, the Literacy Box is home to DVD’s and Blu-rays donated by Laurel Hotelling. Laurel’s family requested that her movie collection make its way into the hands of our youth so that it can continue to be enjoyed and provide entertainment. The theme for this contest is Northern Chautauqua Landscapes, which can be interpreted in many ways, whether it’s Lake Erie or a favorite park. We chose this theme to highlight our region and the beautiful landscapes that make it unique. For eligibility, the participant must be between 8-18 years of age. To be eligible to win, the artwork and registration form, which can be found on our website, must be submitted by October 26th, 2018. Packets of information will be given to the art teachers in each school district, which will allow participants to turn their registration and artwork into their art teacher if they cannot send it to the United Way directly. 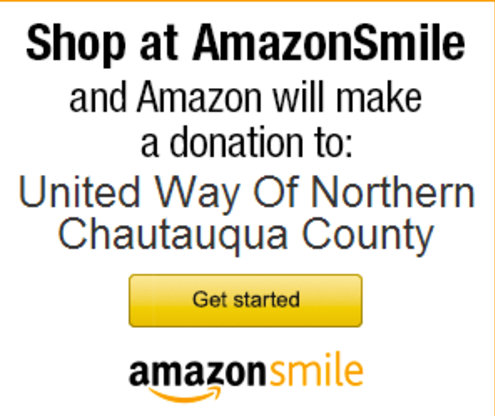 The United Way of Northern Chautauqua County’s mission is to empower our local community through education, financial stability, and health. One in three of our neighbors has been impacted by local outcome-based programming, funded by strategic investments of $4,010,150 since 1999. The United Way is located at 626 Central Avenue, Dunkirk. Visit us on the web at www.unitedwayncc.org; follow us on Facebook, Twitter, and Instagram.